We have a pretty great package we offer for babies. It's called the "First Year Package" babies grow and change so fast. We offer a package to capture that over the first year, it is a bundle of 3 sessions in the first year. Usually one at 10 days, 6mos, and one year. We love watching the babies grow in this year and getting to know your family through this experience. We had a neighbor share this package with a friend and they came in. They didn't know about it in time to use our ideal timeline but we are happy to still honor the package. 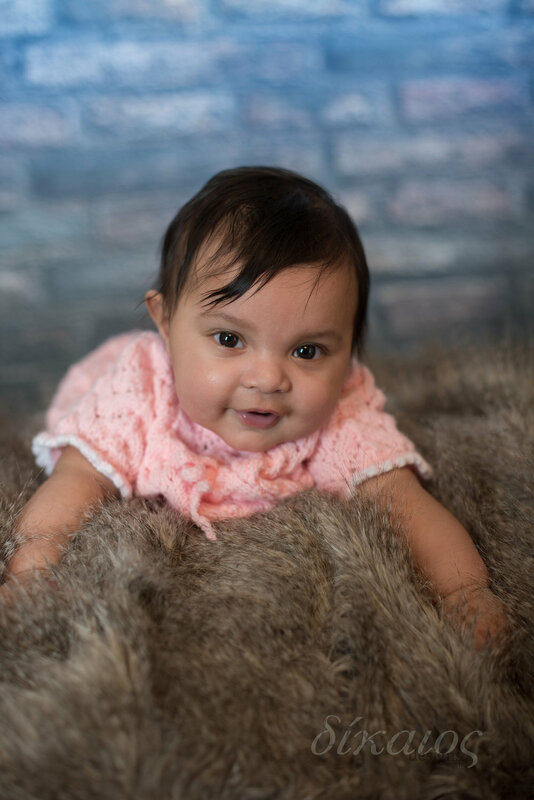 This sweet baby came in for her session last week, she is just turning 4 months old and so sweet. The family sent me photos of the outfits she planned to bring which helped greatly in the set up for the session. This entire scene is so sweet. We got her to smile and coo. She is such a doll! The dress the little girl is wearing is quite special. It was made for her mama when she was little. The baby allowed us to get through three outfits. We had a great time and got some wonderful photos. I can't wait for the next of the three sessions. I am sure she will be so big and just as sweet!